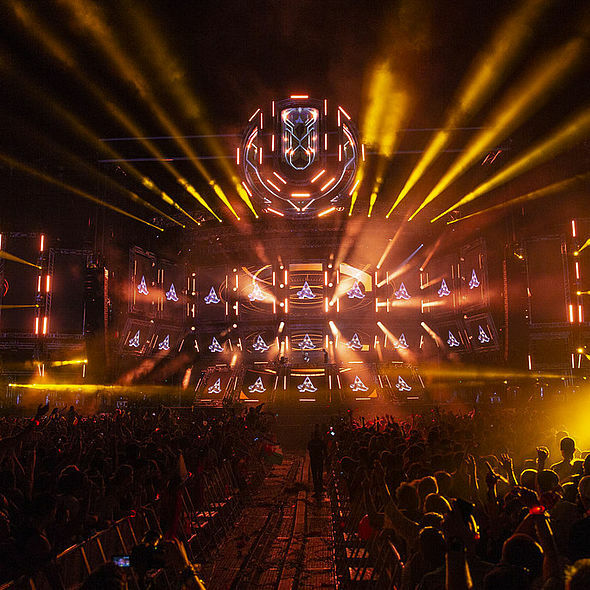 Ultra Europe 2018 was staged in the sizzling sun and amidst the great vibes of Split, Croatia, offering three dynamic performance areas – Main Stage, Resistance and Arcadia – in and around the Poljud Stadium, with a lively and eclectic line-up, a myriad of sounds and styles and, this year, a thousand heartfelt musical tributes to the much missed Avicii …. 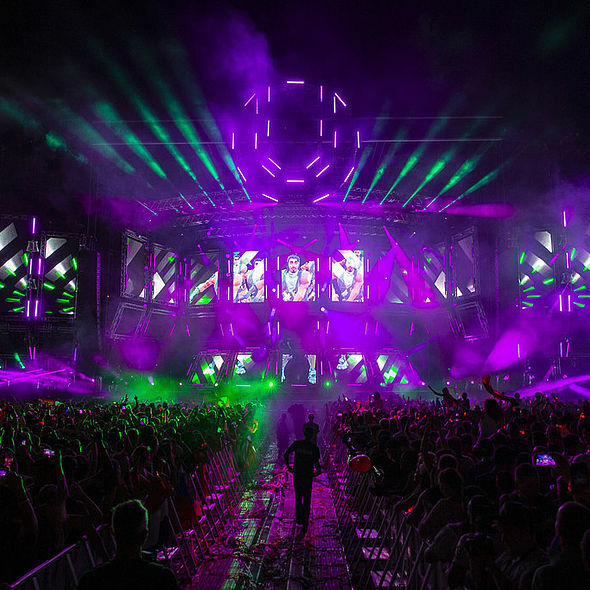 Zagreb based Promo Logistika was the site-wide technical provider for sound, lighting, video, rigging, logistics, crew and – via carefully selected partner companies – staging. It’s the sixth year the massive event has been presented in Europe, and the fourth year that Promo Logistika has ensured that the many layers of demanding international creative and technical standards have been met and exceeded. 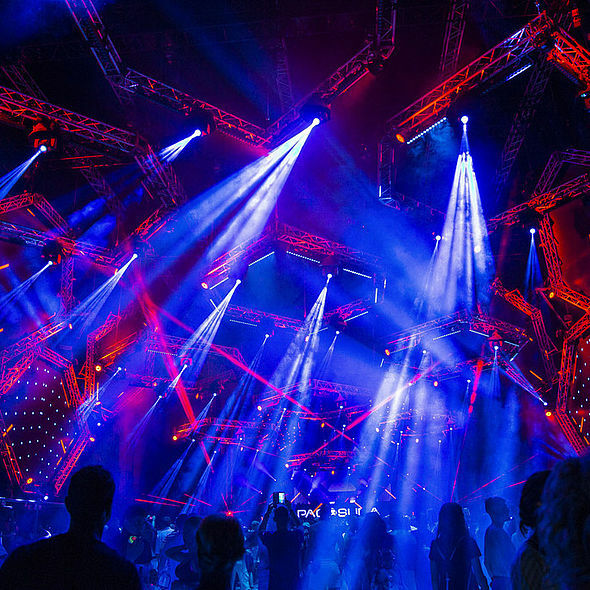 Over 300 Robe moving lights featured prominently on the Main Stage this year explained Miro Hrg, Promo Logistika’s production lighting co-ordinator for that area. The process starts each year for the company by offering a list of lighting and video kit that’s available to the Ultra production team from the U.S.
After that first step, Ultra’s creative director Richard Milstein produces a series of concepts together with technical drawings by production director Ray SteinmanThey present this to Promo Logistika owner Zoran Biškupić, creative director Miro Hrg and other key members of the production team. Together they work on providing the best technical solutions to bring the design to life. As Promo Logistika has made serious investment in Robe light in recent years, this was the only moving light brand on the main stage. 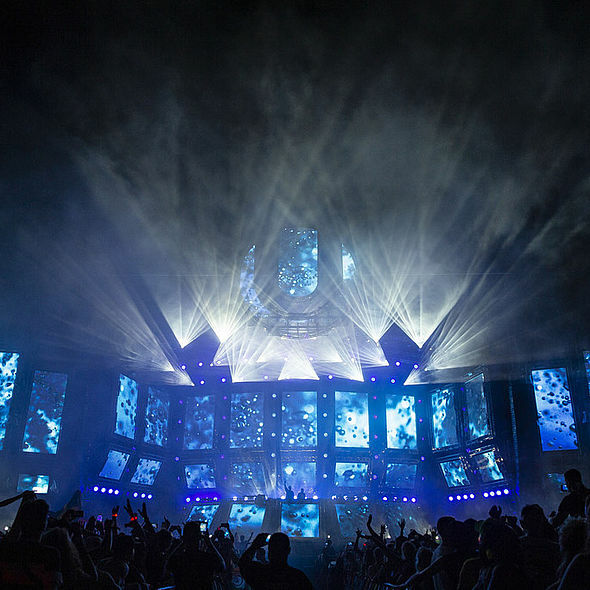 The overall production lighting design for the Main Stage was created by Patrick Dierson who works on all Ultra events worldwide, and the Resistance lighting was designed by Andy Hurst, working in a similar capacity. 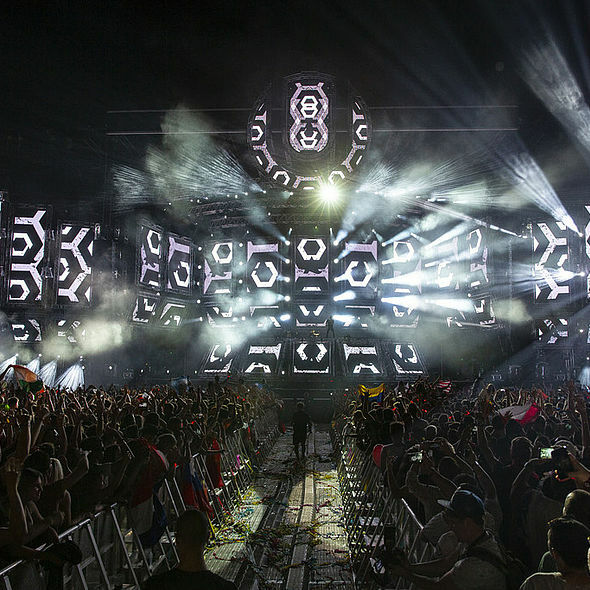 Around 80 percent of DJ’s including all the headliners and anyone playing after 10 p.m. each night brought their own LDs / lighting directors / operators … which this year included, Afrojack, Hardwell, Axwell Λ Ingrosso, Eric Pridz, David Guetta, Steve Aoki, Marshmallow, Armin van Buuren and loads more. As always LED screen was instrumental in the aesthetic of for the 75 metre wide main stage design, so everyone on the international and regional teams were happy to be working with Robe units as they hold their own again so well against very bright LED! The main stage moving light count broke down to 20 x BMFL Spots, 26 x BMFL Blades, 48 x MegaPointes, 40 x Pointes, 48 x Spiiders and 42 x LEDWash 600s. These were spread out on trusses and metalwork all over the architecture of the stage and wings, which was 15-metre-wide a StageCo structure, extended by 3 metres on the front elevation by a purpose-built aluminium Ultra logo. The BMFL Spots were scattered around the stage in front of the DJ booth, and the BMFL Blades were hung on the three overhead trusses above the Main Stage. The LEDWash 600s were behind the DJ booth on truss frames, in ideal position for powerful back looks and effects. MegaPointes – Promo Logistika were the first company in Croatia to have Robe’s newest and most popular unit – were also rigged on truss frames left and right of the stage. Their power, potency and the sheer range of effects clearly made a big impact. The Pointes were hung above the first row of truss frames on both sides, while the six BMFL Blades were ordered for back key lighting of the DJ booth. It was a reasonable amount of lights but not overkill for the size and scale of the show. Italso illustrated that a range of well used, positioned and defined fixtures enables plenty of dramatic variations in looks and texturing … rather than just blasting in loads of lights for the sake of it … and it turning into a complete mush! “The design was clearly and intelligently through through” commented Miro, “Enough presence … but sensible numbers so that each light source had a proper job to do” He added that the Robes were a “perfect unit” to use. Miro is also an LD in how own right and uses Robe frequently in his designs. He commented that Robes are also great for EDM shows like this because of the routine hammering they receive over 14 hours of constant and full-on operation. For main stage control three grandMA2 full size consoles were used, with another full size and full pre-viz running in the onsite previsualisation suite, an invaluable facility in which each artist’s operator had an automatic slot, of which the vast majority took advantage. This year’s Resistance stage was in a slightly different location which improved the crowdflow and it was also fully enclosed with exterior skins for the first time which made a big difference in recreating the starker more alternative clubby vibe embraced by its community. The lighting design was based on the ten automated hexagonal trussing pods clad with video panels and rigged with an assortment of lightsources that has also become instantly recognisable worldwide. Andy Hurst himself operated each night, also with some Robes at his disposal - 14 x CycFX 8s, 28 x MegaPointes, 20 x BMFL Spots and 8 x LEDWash 600s. Performance collective Arcadia’s crew built their well-known Afterburner set - a 360-degree stage complete with flaming central spire and dance platforms radiating outwards,rings of fire-shooting torches, gas tanks, smoke machines and other pyromaniac craziness! They frequently bring quanities of their own kit, but this year Promo Logistika topped up their lamp count with 22 x Pointes! 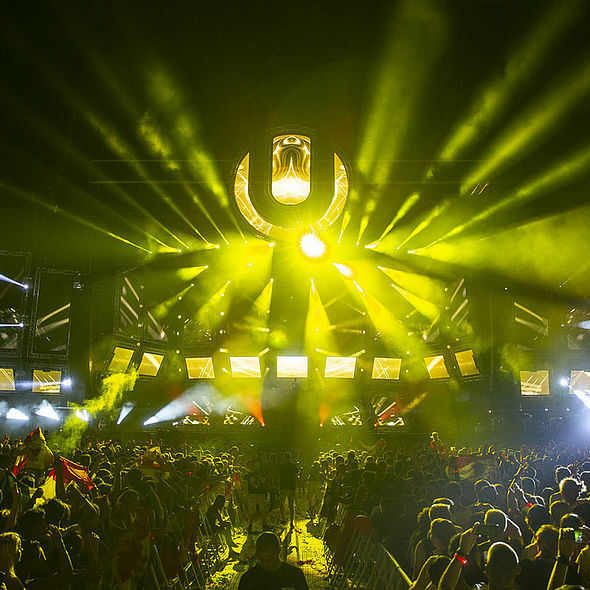 Many of the mainstage DJs made their way to these other two performance areas after their main stage sets to immerse themselves in more experimental environments. In addition to these three areas, Promo Logistika also provided lighting, sound and video for two full VIP areas - north and south - of the stadium, utilising more Robe MMX Spots, CycFX 8s and LEDBeam 150’s. A special custom designed VIP area was lit with PATT 2013s and 2017s. The event essentially utilised pretty much all of their vast equipment stocks and consumed around 300 crew across all departments for the duration of the build and show, together with over 500 square metres of LED screen and at least 70 trucks of kit! 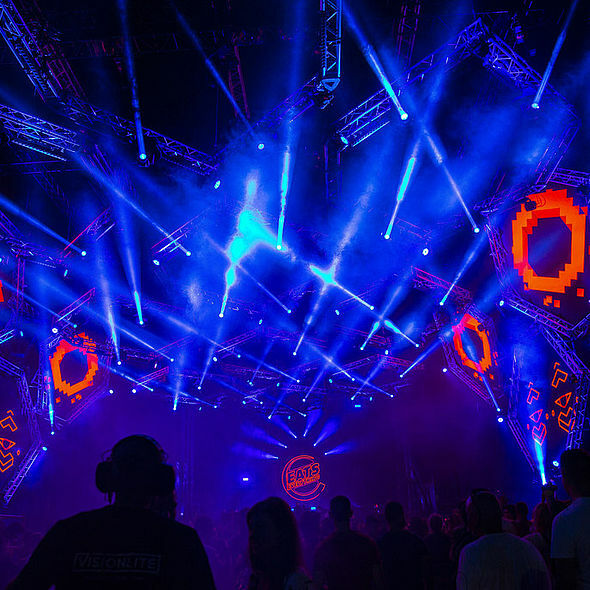 It also sparked some interesting regional co-operations, with the largest lighting rental company in Slovenia, Ljubljana based Event Lighting, being invited to assist Promo Logistika in providing some of the logistical and infrastructure elements for the Main Stage. 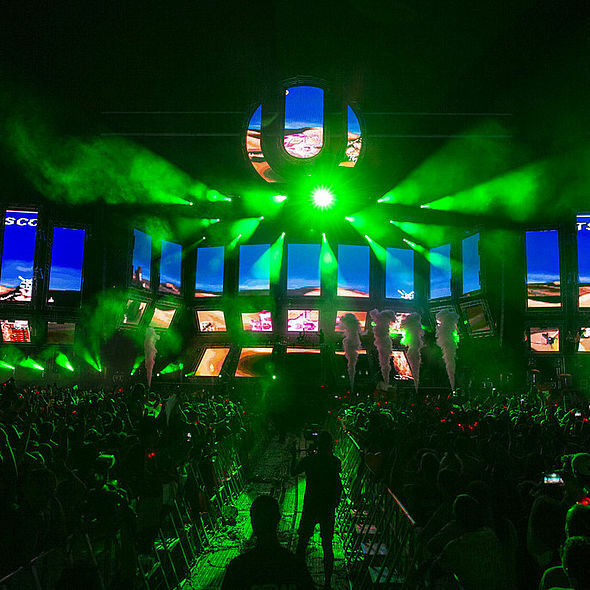 The primary challenge for Promo Logistika on an event like Ultra Europe is the sheer size and scale of the show, and calculation of the time needed to build the entire environment from scratch explained Miro. The enormous mission started in the stadium a week ahead of the event. Miro concludes, “For the industry in Croatia and the region it is really important to collaborate with leading organisations like Ultra who want the very best for their global brand. It’s great that they have faith in us to deliver everything to full international standards, and we are all very proud to be part of Ultra Europe team”. This year, in addition to the impact of hosting Ultra Europe, the World Cup roller-coaster was running in parallel, which saw Croatia beat Russia on the Saturday of the event to go through to the semi-finals for the first time since 1998! This put the icing on the cake of a totally euphoric weekend in Split, when the sun shone, the music played and everyone’s hard work on the production side was appreciated by so many in myriad of summer moments. *) ‘Waiting for Love’ by Avicii, produced by Avicii & Martin Garrix, track released 22 May 2015 on Avicii’s second studio album ‘Stories’.